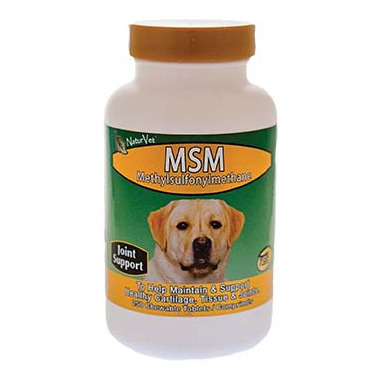 Naturvet MSM Tablets are manufactured to help maintain and support healthy cartilage, tissue, and joint flexibility in your beloved canine companion. Minus food there’s not much our dogs would choose over our safety, let’s return the favour and protect their welfare with Naturvet MSM tablets! Inactive Ingredients: Magnesium Stearate, Natural Flavoring and Silica Aerogel. Safe use in pregnant animals has not been proven. Always follow the instructions on the label attached to this product.